Once your belongings are packed and prepared, they will be stowed in a 20ft or 40ft steel container (measure used for containers), depending on the volume of the voyage. We realize dedicated and Consolidated removals, from Barcelona to any country in the European Union. Every 10-15 days we have departures to Germany, Italy, France, Greece, Netherlands, Belgium…. Maritime groupage removals that don’t surpass 15 cubic meters of personal belongings. Personal belongings are picked in your home and will be transported to the most nearby port of your city of origin, to be shipped to the port you indicate us. 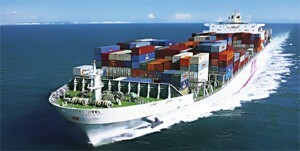 We carry out the Customs Management of your maritime shipments to anywhere in the world. Documentation management in advance and complete for each custom process. Packing of all furniture and boxes with high quality materials. Implementation of detailed and special Packing List (inventory of goods) for customs management. Dismantling Furniture made by professionals. Specific manipulation of the wood, the screws and the elements that compose the furniture. Safe transfer, maximum tranquility. We offer you a personalized policy for your international relocation or relocation. Professional advice on the type of insurance that best suits your requirements. Professional team specializes in International Removal Management. Our compromise is with our clients. We monitor the removal process from origin to the delivery in destiny. We advise you in your removal process and we provide the best solutions, depending on the country of destiny. Visit our office in Barcelona with previous appointment to obtain detailed information for your delivery.